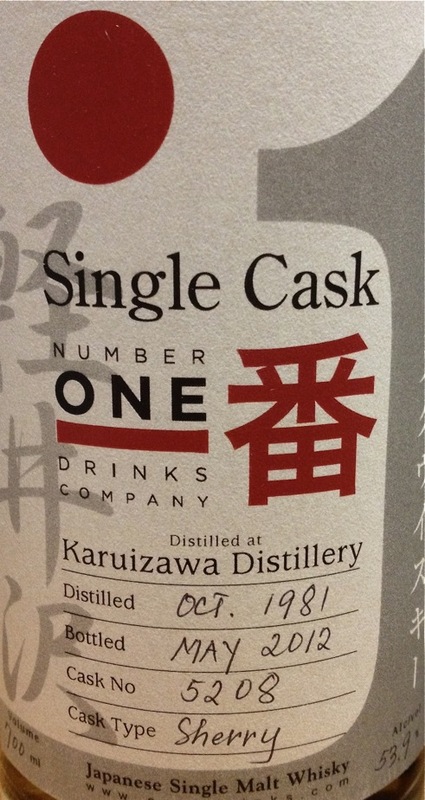 Anyway, back to the Bond #1 Karuizawa. 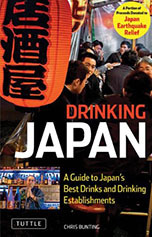 It's priced at 24,000 yen, which is fair, it must be said. The nose has lots of forest notes, also that distinct burnt cereal note I find in a lot of good Karuizawas, glazed cherries, dried pineapple, a bit of lychee; also big notes of oak polish, the smell of grass after rain, some pink pepper and a slight hint of chantilly cream. With water, I get a lot of green apples (which is nice, if you like green apples... which I do). The palate takes you to a completely different place: it's remarkably light and dry, slightly savoury - you get more mineral notes, "dusty chapel" notes (I spent most of my teenage years playing the pipe organ, so I know what I'm talking about! ), a hint of rosemary, a tiny hint of walnuts. Very enigmatic, just plays with your head when you go back and forth between nosing it and tasting it. Don't add water, though: it's too delicate for that and completely falls apart, especially on the palate (it becomes kind of like a young calvados). The finish is medium-long, and again very light and dry and slightly tannic (in a pleasant way!). 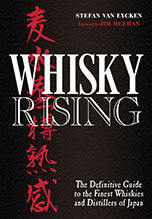 If you're a Karuizawa fan with a fruit bomb fetish, this is not for you. If you're a fan of the "in-your-face" Karuizawas this is not for you, either. This is a Karuizawa that makes you work hard - kind of like entering a strange world in which you have to get used to smaller dimensions, but then, once you do, you find all kinds of marvels in the tiniest corners. It also reminds me a little bit of Salman Rushdie's "Midnight Children" in which - among a thousand other plot lines - a young girl falls in love with her husband of an arranged marriage piece by piece, one fragment at a time. Drinking this Karuizawa is a bit like that: the "whole" doesn't offer itself up as such all at once... and not even after you spend some time with it. Instead, you find yourself piecing fragments together, but the puzzle is always slightly different, and you're never there where you think you've figured it out. Whereas in life no sane person would want the anxiety that comes with this, in art (read: whisky) that's what you really need, isn't it?